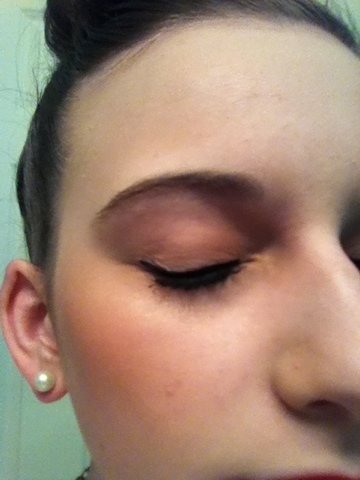 I was looking through my tumblr pictures and got inspired by a simple makeup look on Audrey Hepburn. 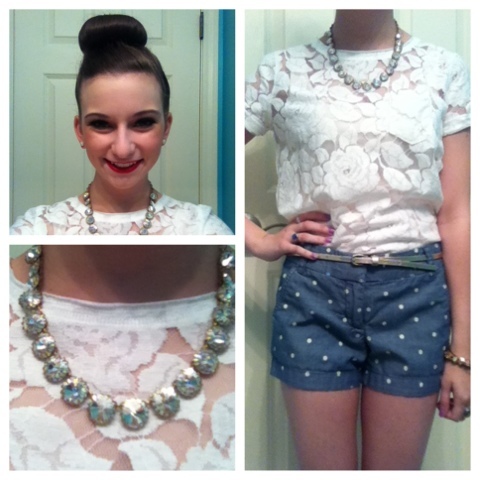 So, I decided to re-create this look with a modern twist. First I used my Revlon color stay foundation, Estee Lauder bronzer, and a Milani blush for my face. My eye makeup is quite simple. I used a eye shadow primer to prime my eye lids. Following that I used a very light matte eye shadow all over my lid. Then using my favorite gel eye liner from Rimmel I made a thick line above my lash line with no wing. To finish it off I used my Rimmel Apocolips lip gloss/ stain in a bright red color. 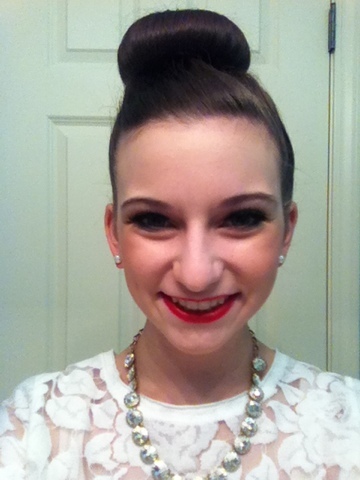 Using my bun maker from Urban Outfitters I just put my hair in my signature ballerina bun. 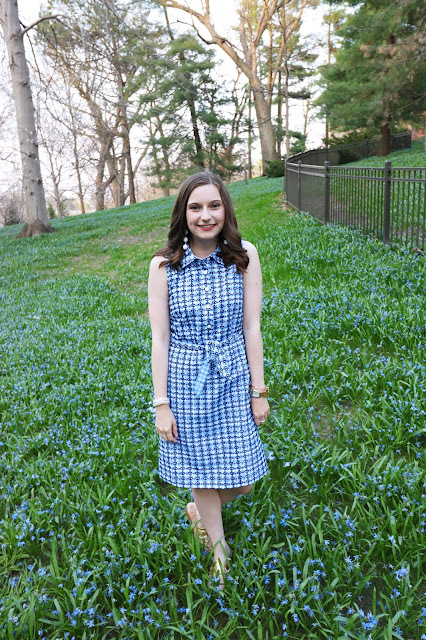 The outfit: With this outfit I was inspired by classic J Crew style. 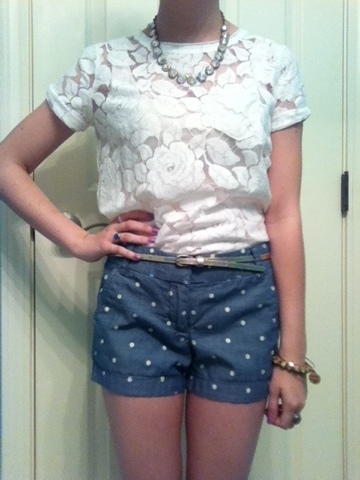 My polka dot shorts are playful and fun and I paired them with this soft lace t-shirt to add texture. Underneath the lace I have a soft pink tank peeking through. 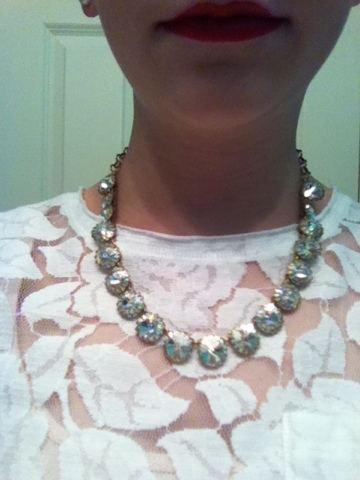 Of course I finished the look with a statement necklace, arm candy, and pearl studs.